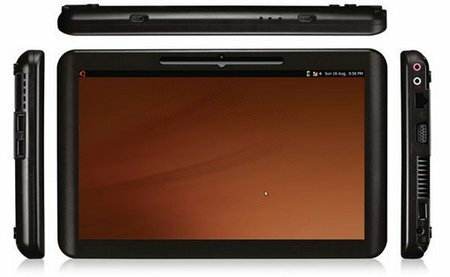 Canonical, the company behind Linux OS Ubuntu, is preparing a touch-specific OS for tablets that it will build on Ubuntu 10.10. The OS should be available sometime early next year. According to NetworkWorld, Canonical VP Chris Kenyon said that not only is the company going to direct the new OS, they are also working with chip manufacturers (Freescale, Texas Instruments and Marvell were mentioned in the article) on speed and power-saving chips. The touch-based Ubuntu OS will be lightweight and will focus on quickly accessing popular applications as well as feature an on-screen keyboard and support for multi-touch drivers. There was no mention of any tablet manufacturers in the article, and honestly, Ubuntu has had a hard time on the personal computing side of things when it comes to hardware. While Linux was an early favorite on netbooks, Windows quickly swooped in to become the most commonly pre-installed netbook OS (of course many people wipe Windows and install Linux, but that’s a different story). The combination of this relative failure plus the promise of tablets and the success of the iPad must have made UCanonical think that this is a direction that they want to go in. If done right, this could be a really exciting addition/option in the tablet market.